Have you purchased a home that comes complete with a swimming pool? If so, you are undoubtedly excited about using this new feature. Many homeowners who buy a place with a pool are so excited, they neglect to think about what needs to be done before jumping into those beautiful blue waters. Here at Universal Pool Service, we provide an array of swimming pool maintenance services in Goodyear, Glendale, and Litchfield Park. We make it our goal to help homeowners in the local area keep their pools safe, clean, and operating smoothly. If you recently purchased a home with a pool, you are in for many wonderful days spent relaxing in its waters. However, before you dive right in, make sure that the swimming pool is actually ready and safe for use. Check out these must-know tips for homeowners who recently purchased a swimming pool. Before you think about diving into the swimming pool, make sure you have it professionally inspected. Swimming pools are a wonderful asset to have but they do require upkeep to be safe. An inspection will let you know how much work needs to be done before the pool is ready to use. In some cases, the pool might be ready to go, if the previous owners took good care of it. In other cases, the pool has sat unused for a long time and might have major issues. Cracking: If the actual pool itself is cracking, you will need to address this issue. Long-term, cracking can result in a leaking pool, which can be extremely costly for you as a homeowner. During a pool inspection, these issues can be addressed and you can determine the severity of the damage. Clogged Filters: If the previous homeowners didn’t maintain their pool properly, the filters might be chock full of debris. While you want your filters to be capturing this debris, you also want to clean them out frequently. This can be handled quickly and easily during an inspection. Pump Issues: Your pool most likely has one major drain in the deep end of the pool that is responsible for pulling water through your filtration system. If this drain isn’t working properly or the pump has low pressure, it could be due to debris build up in the system. This can be diagnosed during your inspection to ensure that your entire filtration system is operating properly. Unbalanced Chemicals: One of the biggest tasks you have ahead of you as a new pool owner is keeping the water balanced. During an inspection, the water can be professionally tested to ensure you have the perfect balance of chemicals. This is extremely important for the safety of anyone who swims in the waters. These are just a few of the things that can be discovered during a pool inspection. It is important that you schedule an inspection long before you ever get into the water. Don’t trust the previous homeowner’s word, ask a professional to inspect the pool before use. Once you have had the actual pool inspected, take some time walking around the pool to determine whether or not there are any safety issues. Look for tripping hazards, such as cracking cement, debris, or a poor layout of furniture. 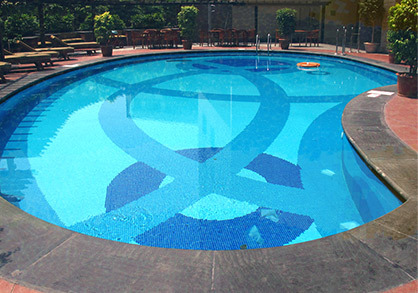 Try to create a clear path around the pool and add anti-slip mats as needed. As the proud owner of a swimming pool, you will need to keep up with a lot of maintenance tasks and repairs here and there. For this reason, it is important to find a pool company you can trust. Check reviews and look for a local company that is invested in the community. Here at Universal Pool Service, we’d be honored to be your chosen pool service company. Please don’t hesitate to give us a call. We will be happy to let you try out our services to see if we are a good fit. Now that you have found a trustworthy pool company, spend some time talking to the technician about what maintenance your pool will need on an ongoing basis. You want to ensure you understand these requirements thoroughly. Too often, new pool owners neglect important tasks, such as ongoing chemical balancing, which can lead to health concerns. 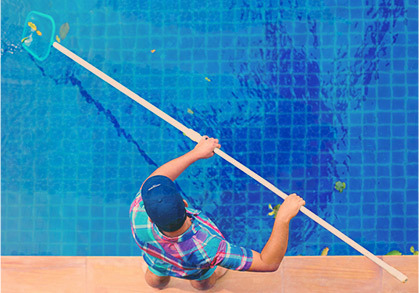 For most pool owners, the best course of action is to hire ongoing pool maintenance services from a professional to ensure nothing goes awry. Finally, once you know the pool and the area around it is ready to go, spend some time talking to your family about safety tips. If this is the first swimming pool you guys have had, it is vital that you go over important safety rules. For example, you might set a house rule that the pool cannot be used by your children without adult supervision. You might also make it a rule that there is no running allowed around the pool area. Any disobedience of these important safety rules will result in no pool time. If you are the proud new owner of a home with a swimming pool, then we invite you to reach out to our team to schedule an inspection. 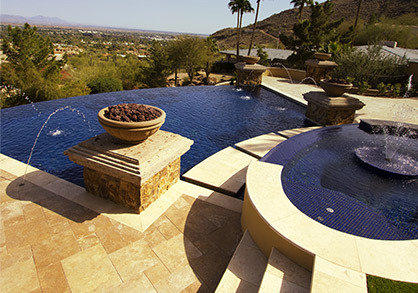 We can assist you with swimming pool maintenance in Goodyear, Glendale, and Litchfield Park. Contact us today to learn more about getting your pool ready to be used.